Also serving communities of Stroudsburg, East Stroudsburg. There are 6 Memory Care Facilities in the Easton area, with 4 in Easton and 2 nearby. To help you with your search, browse the 8 reviews below for memory care facilities in Easton. On average, consumers rate memory care in Easton 4.3 out of 5 stars. Better rated regions include Newton with an average rating of 4.4 out of 5 stars. Around 3,250 seniors live at the junction of the Delaware and Lehigh Rivers in Easton, Pennsylvania, a city of 27,109 people. To support seniors with Alzheimer’s and other types of dementia, there are four memory care facilities in the city itself, as well as six others nearby in Hellertown, Bethlehem, Whitehall, Center Valley and Allentown. 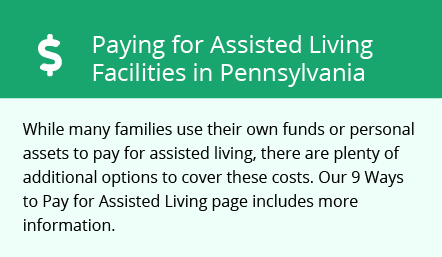 Pennsylvania offers two types of memory care facilities: assisted living residences and personal care homes. Both types may operate in one building under a dual license. Assisted living residences are licensed by the Department of Aging, Office of Long Term Living. These facilities may provide nursing home care and other services to four or more adults. Personal care homes, licensed by the Department of Public Welfare, can also house four or more residents but cannot provide nursing home care. In Pennsylvania, pension income for seniors 60 years of age or older is exempt from taxes, as is income from Social Security, 401(k) accounts, IRAs, or other retirement accounts. This may help loved ones set aside additional money for memory care. Easton is home to world-class medical facilities, including those specializing in brain health and dementia care such as St. Luke’s Hospital, Anderson Campus, as well as Easton Hospital in the event of medical emergencies or illness. This city enjoys a fairly reasonable cost of living. The overall cost of living in Easton is in line with the national average, but housing here is 40 percent less expensive. Easton tends to have higher crime rates than neighboring communities, with property and violent crime rates that are each about 20 percent higher than the total averages of the Allentown-Bethlehem-Easton metro area. However, Easton sees about the same amount of crime as the rest of the nation on average, so seniors do not need to be especially concerned about their safety while living here. Memory Care costs in Easton start around $0 per month on average, while the nationwide average cost of memory care is $4,799 per month. To see a list of free memory care resources in Easton, please visit our Assisted Living in Pennsylvania page. Easton-area assisted living communities must adhere to the comprehensive set of state laws and regulations that all assisted living communities in Pennsylvania are required to follow. Visit our Memory Care in Pennsylvania page for more information about these laws.